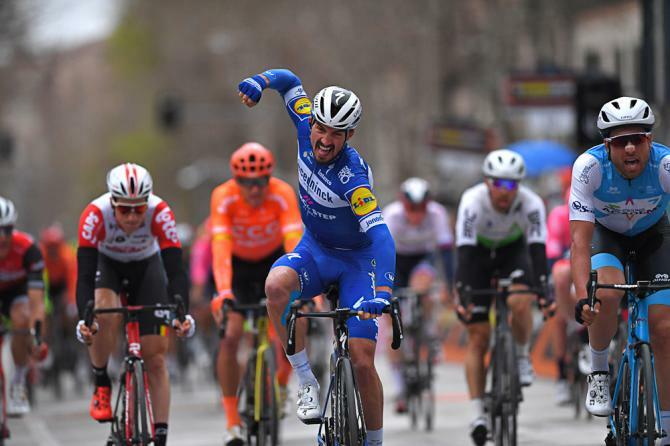 Julian Alaphilippe shocked the sprinters and won a bunch sprint in Monday’s sixth and penultimate stage of the Tirreno-Adriatico. 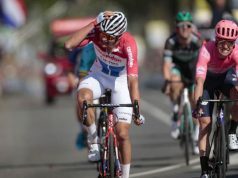 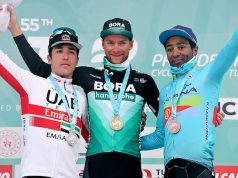 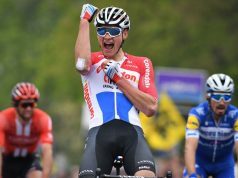 The 26-year-old crossed ahead of Italians Davide Cimolai (Israel Cycling Academy) and Deceuninck-Quick-Step teammate Elia Viviani, who were second and third respectively. 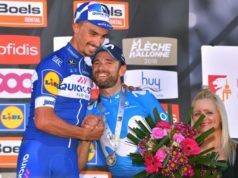 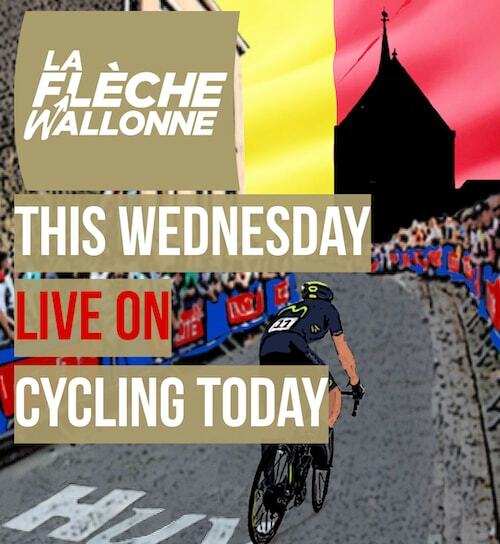 It was the second win for Alaphilippe after his stage two triumph. 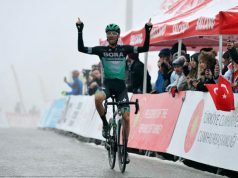 Adam Yates (Mitchelton-Scott) holds the leader’s blue jersey going into Tuesday’s final stage in the ‘Race of the Two Seas’. 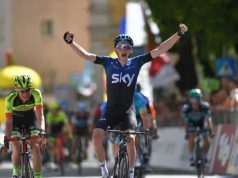 The seventh stage is a quick 10km individual time-trial down the flat Adriatic seafront at San Benedetto del Tronto.